We have an amazing news for all the people out there who wear contact lenses! We, at Lenskart, understand what a hassle it can be to care for your contacts, so we bring to you the best quality eye lens solution from Aqualens and that too with amazing offers and discounts. Now, you will be able to buy a bottle at the best price online. So, make sure you do not miss out on these deals. Plus, you can also browse through our coloured contacts collection and pick the best colour for your eyes, at a cheap and affordable price. Continue reading to learn more. Contact lenses need special care as they are very delicate and prone to attract germs. Cleanliness is a major aspect of their care and it shouldn’t be ignored in any case. Make sure you always clean your hands properly with soap and water before touching them. If cleanliness is not taken seriously, it can lead to eye infections and other major issues. Now, taking care of your contacts has become easier than ever, thanks to the one-bottle care system, eye lenses solutions, and disposable contact lenses. Wearing and taking care of them is no more a hassle. 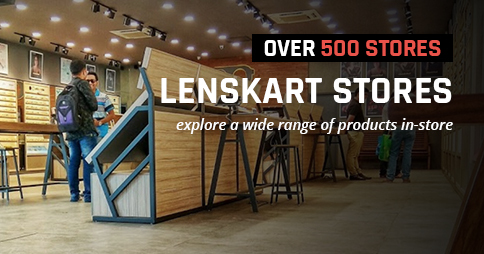 Especially when there are so many options to choose from at Lenskart. One product, many usages! 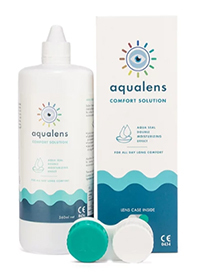 Aqualens Comfort Contact Lens Solution can be called the doctor of eye contact lenses. From cleaning, disinfecting, moisturizing, rinsing to lubricating, it does all the work. 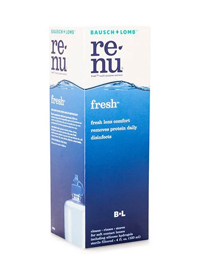 It provides extra moisturizing to the contacts and keeps them hydrated and soft. This can also be used to remove daily protein from the lenses. This multipurpose innovation is made of special agents that effectively clean your lenses. Its Aqua Seal/Double Moisturizing effect locks in the moisture for a longer period of time. The Sodium Hyaluronate with HPMC creates a lubricating shield, maintaining the pH balance of the lens. There are many people who have very sensitive and dry eyes and they feel very scared to wear lenses. But with Aqualens Comfort Contact Lenses Solution, they don’t have to worry. 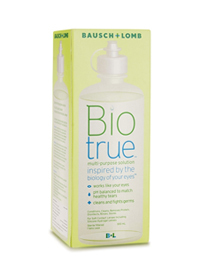 This is specifically formulated for patients with dry and very sensitive eyes. It adjusts the isotonicity to lacrimal fluid, making it ideal for patients who complain of dry eyes because of contacts. The specialty of this solution is that it seals the moisture and releases it slowly throughout the day. It forms the right balance between wetting and viscosity agents and helps stabilize tear film, reduces friction, and provides the required protection between the lens and the lid. The process to clean the lenses is also very simple. All you have to do, is remove the lens and clean it with this accommodating fluid. It will remove eye-produced buildup, debris and other cosmetic or dirt particles. It is recommended to rub the lens in the palm, very softly for around 20 seconds. Then rinse it to remove any leftover particles. After that being thoroughly cleaned, the lens should be placed in the case with fresh solution. When you are ready to wear it again, you can rinse it once more. This will not only clean it but also disinfect it. At Lenskart, the solution is available in two sizes, 180 ml and 360 ml and at very affordable prices of Rs 240 and 425 respectively. You can also avail the ongoing offers and get them at a discount price. Contact lenses prices are also cheaper here with discounts. Here, you will also get eyeglasses and sunglasses from top leading brands like Tommy Hilfiger, Vincent Chase, John Jacobs, Ray-Ban, Oakley, Vogue, Calvin Klein, Carrera, and many others. 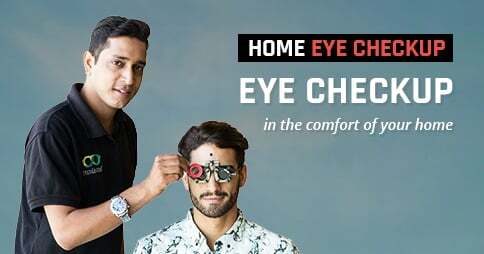 From cat-eyes to kaleidoscope, squares to rounds, Aviators to Wayfarers, classic black to vintage blue, get the latest design, style, shape and colour eyewear and buy a pair for yourself at the best prices online. Take advantage of the 3D try-on feature to try on your selection(s) virtually and see how they would look on your face. So, go ahead and buy contact lenses online. It’s not every day that unbelievable opportunities come along. Carpe diem.